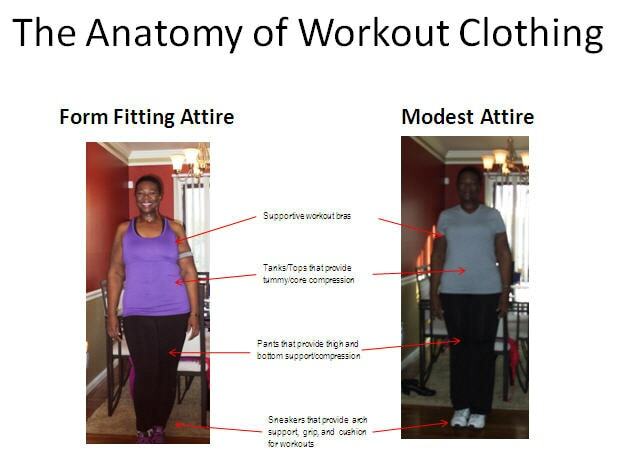 Most people would agree that workout clothing should be comfortable and functional. But while I was at the gym the other day, I started to wonder, is there such a thing as TOO comfortable? Is there a point where you surpass the comfort “okay” mark and enter into the frumpy category? Now you might ask yourself, “Why is it even important whether I look frumpy at the gym? After all I’m only there to sweat!” Here’s my personal take on the matter. Many of you have already discovered that 90% of exertion is mind over matter. And the fact is that when you feel better, you do better. Good, well-fitting workout clothes can be the esteem booster that you need to get in there and become a gym BEAST. Bras that offer no support. Ladies I’m pleading with you here. PLEASE spend the extra money to get good workout bras; it really does make a world of difference. While your breasts don’t have to touch your chin, they should NOT rest on your navel! A good sports bra will provide support, prevent bounce and correct your posture, which prevents back injury. Old, run-over sneakers. Most experts suggest changing your sneakers a couple of times a year and more frequently if you run frequently or train/run marathons/triathlons. Excessive wear on your workout shoes cause knee, IT Band and Hip issues. I speak from experience; old worn out sneakers will cause your back, knees, and hips to hurt! Super baggy workout pants. Not everyone wants to wear running/ yoga tights or capris in the gym when they work out, I get it. But stop it with the sweat pants that are two sizes too big! 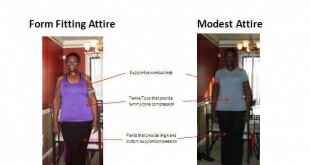 Not only are they unflattering, they offer you no compression or support. If modesty is a concern, choose boot-cut or flared leg compression pants that balance out your proportions and give you a flattering shape while compressing the “jiggle” in the thighs and bottom. Long, baggy t-shirts. So you’re not quite comfortable enough to bare the batwings in a workout tank. But let’s be honest here…that snoopy t-shirt from 1997 isn’t doing you any favors and despite what you’ve convinced yourself, it doesn’t hide or mask the tummy jiggle. Go for a workout t-shirt that is made with wicking fabric that offers some core compression. It will keep you cooler, provide core compression and stabilization, and mask the loose tummy jiggle. Now I know what you’re saying. “I don’t want to buy workout clothes when I’m losing a lot of weight and won’t be able to wear them soon.” Yeah…I can’t exactly support that argument for several reasons. First there are lots of affordable workout clothes at Wal-Mart, Target, Burlington, TJ Maxx, Marshalls, Ross, and countless other places (Nik reports getting workout clothes at Family Dollar!). You don’t have to spend a fortune to get functional workout clothing. Second workout clothing should be sized DOWN. When you do that, you get more compression AND your workout clothes last longer. Don’t believe me? Check out the photos of me below. All these clothes were purchased (and worn) 50 lbs. (or six months) ago and are just now beginning to lose compression. In the end I’m not saying you need to be Heidi Klum in the gym. But investing in yourself is important. 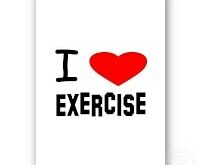 You’re investing the time to get physical activity. Why not make some small investments that will make that time more enjoyable and help you produce better results? 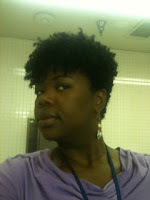 About the Author: Hillery is a year post-op (gastric bypass). She is a chemist and environmental engineer residing in the suburbs of the Nation’s capital….a country girl at heart turned city slicker! She fully admits to being addicted to makeup, skin care, hair creams, soaps, lotions, and potions of all price ranges…an equal opportunity product junkie with a special passion and love for lipstick. Read about her makeup addition, product reviews, and anything worth dishing about in the world of beauty at www.platinumpjs.com.